Rurrenabaque is the principle point of entry to the Madidi National Park, the most bio-diverse park on the planet featuring a dazzling variety of flowers, plants, birds, mammals, lush jungle and pampa. The town is located in the Beni department on the borders of the eastern grasslands. 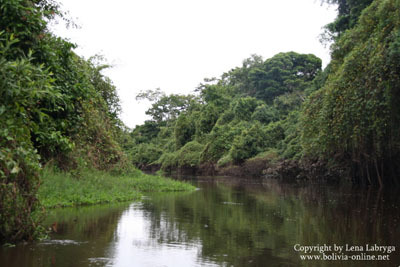 This makes an ideal place to launch trips of the Beni, Mamoré o Itenez River, and carry on into the deep jungle. 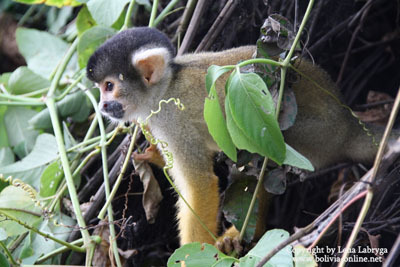 The spider monkey, wild deer, turtles, macaws and others species make this area very unique. This is one of the most important rain forest parks in the world and has the greatest proven biodiversity of any park on the planet. 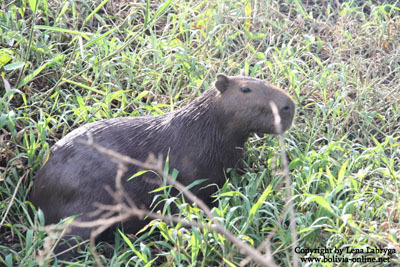 According to National Geographic Madidi National Park is one of the 20 most important tourist destinations in the world. This stretch of the Beni river´s route through the steep mountains is incredibly gorgeous. The famous Tuichi river offers both recreational and professional level kayaking and rafting. On its concourse travelers observe untouched cloud forest, Amazonian rainforest, macaws, monkeys, jaguars, and eagles. This gorgeous fresh water lagoon is located in the middle of Madidi National Park and hosts the famous Chalalán ecolodge. 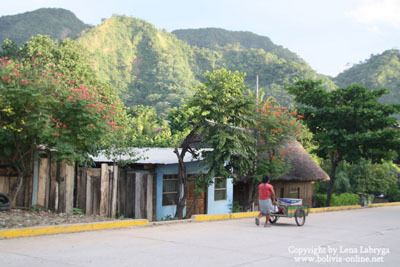 The small indigenous San José de Uchupiamonas community is located on the Tuichi river in the La Paz department and has built the world famous Chalalán ecolodge. The community is committed to the sustainable management of the surrounding rainforest to benefit both the town and the jungle. 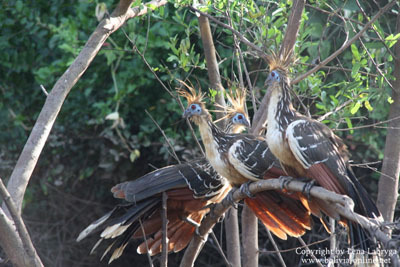 The Chalalán Ecolodge (www.chalalan.com) is located in the heart of the Madidi National Park. The point of entry is Rurrenabaque, where a six hour boat journey up the Beni and Tuichi rivers leads to the lodge. Once off the boat, visitors must walk 30 min through the jungle to the lodge which is located on a beautiful lagoon with several wonderful walking paths nearby. There are a multitude of tours that leave from Rurrenabaque to visit the many natural attractions of the area. 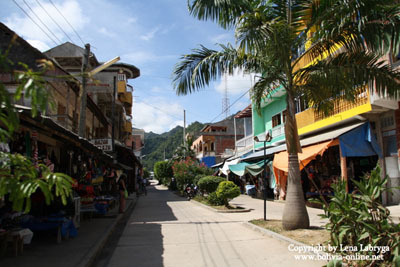 Tours from 1 to 5 days abound, and some adventure tours go for 20 or more days in the deep jungle. The grasslands (pampas) tours normally include a boat trip on the Yacuma River, where travelers can see the famous Bolivian pink river dolphins. 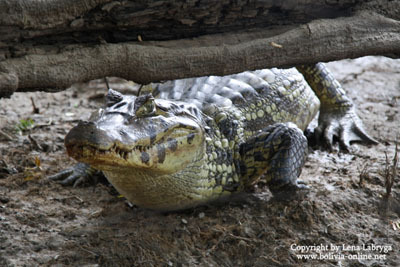 The grasslands trips often site fearsome animals such as the anaconda (sicuri) and black caimans. The Amazon jungle tours often either the Madidi or Pilón Lajas Parks, two of the most important natural reserves in the world. 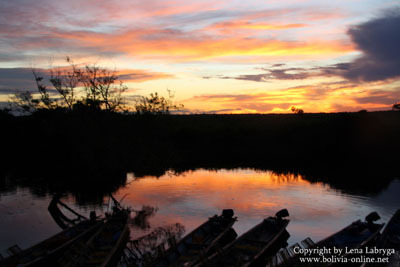 Normally these tours offer the chance to stay in a jungle eco-lodge run by an indigenous community. This protected area is both a Biosphere Reverse and an official indigenous territory (TCO). It provides a mix of different ecosystems and both tropical and subtropical; both mountains and steaming swamps. The region hosts incredible animals like the jaguar and is the ancestral home of the Chimanes y Mosetenes tribes who still live in balance and harmony with the rain forest. For information about tours to Rurrenabaque and the Madidi National Park, please visit our tours section.